This year we have seen once again a lot of construction going on in the valley. 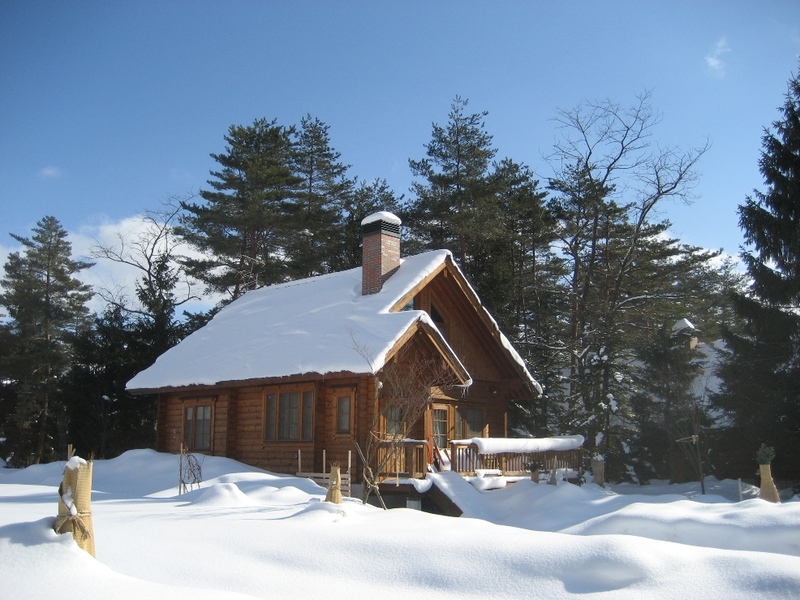 Currently there are a number of holiday homes being built by Japanese who live in the big cities and want an escape to a the pure clean air and natural surroundings that Hakuba has to offer. There is also a number of foreigners developing numerous projects including apartments, houses, restaurants along with renovating hotels. This is the period when everyone is working frantically to get things finished before the winter sets in. A lot of homes are prefabricated off site and brought in once the foundations have set. It is amazing to watch a site go from a concrete base to externally finished in a week. Land is cheap here and the prospect of owning a place in a world class resort area just 2.5 hours out of the biggest metropolis in the world is attainable for many people. The average price for a 300 sq mt block is 3.5 – 4 million yen. The winters here are magnificent if you love snow and the summers are a brilliant bonus. You could buy a house here along with a nice 4wd to park in the garage and fly business class for the next 10 years for cheaper than buying just an apartment in any other popular resort area in the world. Check it out on your next holiday here. You can contact the White Horse for more information. This entry was posted in Hakuba and tagged buying property in Japan, Hakuba, Hakuba properties for sale, Holiday homes in Japan, Nagano, Property investment in Japan, snow Japan. Bookmark the permalink.